As it is not hard to guess, apricot seed oil is extracted from apricot seeds. This plant is grown in China, the USA, Argentina, Chile, the Mediterranean and Central Asian countries. It has bright colour as well as delicate and pleasant flavour. Apricot seed oil must not be warmed up to 70°C because it loses its valuable substances and features. In brief, apricot seed oil manner of working can be compared to almond oil’s. Apricot seed oil is used for hair, face and body skin care. It has highlighting working therefore it is recommended for people whose skin is covered with skin imperfections like acne marks, discolorations or sun-induced pigmentation marks. It is absorbed almost the moment applied and has the same speed of working when it comes to scalp nourishment. It also stimulates hair roots to more effective work. How does apricot seed oil treatment look like? The truth is, the oil can be applied both on dry hair or right after shampooing. One of the greatest advantages of this natural product, it is easy to be removed by any shampoo. However, when it comes to extremely damaged hair treatment, it is advised to use SLS-free shampoos only. Apricot seed oil produces marvellous smell and gloss when applied on dry hair. Moreover, strands are sleek and manageable. What is more, apricot seed oil gifts hair with nourishment and softness. It prevents split ends, dehydration and additionally lowers porosity. Apricot seed oil may be used as an additive to cosmetics designed for shampooing and hair care. Both substances should be precisely mixed and applied on hair in an hour before shampooing. 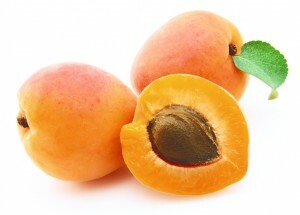 Apricot seed oil can be also used for L.O.C. Method (hair oil – shampooing – hair oil/a conditioner). While choosing apricot seed oil it is worth paying attention to several important issues. Firstly, the finest product should be cold pressed and non-refined. Such information placed on the label means that the oil contains all minerals, fatty acids and vitamins. Secondly, apricot seed oil must be stored the right way. Since sunrays damage every liquid, including hair oils, such a product should be stored in a bottle made of dark glass.